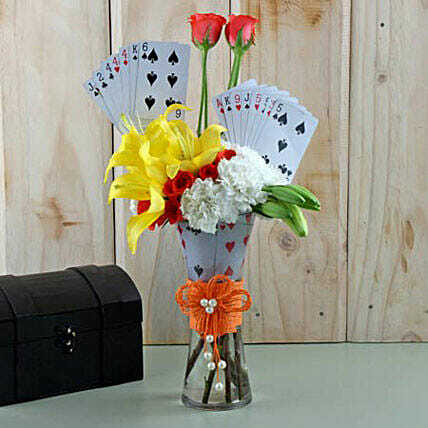 A glass vase arrangement with 5 yellow lilies, 10 orange roses, and 6 carnations are decorated artistically with playing cards. Isn’t that a wonderful presentation for any kind of occasion? It is a scintillating décor item also to be kept at the centre table and that’s why it would definitely be loved by your near and dear ones.